If you're on Twitter or read any other science blogs, by now you know that the Scientific American Blog Network has launched. And, I'm pleased to say that I am a part of it! Context and Variation has moved to new digs, surrounded by a network full of bright, interesting people with great communities and great things to say. But of course, while I encourage you to check out Bora's post where he introduces every one of us, I have to plug a few bloggers in particular. First, the University of Illinois is the only university to be represented by three bloggers on this new network (yeah, we totally did a press release for it). Alex Wild of Myrmecos (you know, the guy who comes up if you just google insect photography) has created a blog called Compound Eye that will cover science photography. What's exciting about this blog is that Alex, true to his nature, will be very generous with his space and will showcase the work of many other photographers. Joanne Manaster, who you may know as sciencegoddess on Twitter, hosts the blog JoanneLovesScience.com. Joanne is a truly exceptional science educator and puts great attention on reaching young audiences, from exploding gummy bears, the science of makeup, and Kids Read Science programs. On the SciAm blog network, Joanne will be co-hosting a new blog PsiVid with Carin Bondar. This blog will continue Joanne's work of thinking about engaging audiences and getting them interesting in science in new ways. In addition to these great U of I bloggers, I also have to mention my fellow anthropologists. 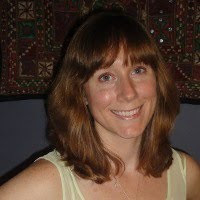 Krystal D'Costa is moving her fantastic blog Anthropology in Practice to SciAm. You can expect more thoughtful, detailed, yet readable and fun posts from Krystal. She is a wonderful observer of human nature, and I love how she forces me to be an anthropologist at all sorts of casual moments when I usually take my academic lenses off. Then there is Eric Michael Johnson's blog The Primate Diaries. Eric is another very talented writer, sharing insights from a great mind. I have enjoyed his posts on sexuality, primatology, sexism, and human evolution. Oh, and need I even mention? There are lots of female bloggers on this new, kickass network. Check out The Mary Sue's coverage. They're right. The SciAm Blog Network does introduce us to about a zillion new women in the sciences. Incidentally, it does a pretty decent job of introducing readers to people of varying sexualities and ethnicities as well. We can always do better, but it is a strong start. The people of this network have exceptional voices and important perspectives. And now more people will see what they have to offer. I hope you'll all join me over at my new place, that you'll check out the rest of my network peeps, and that you will enjoy helping me bring the ladybusiness to Scientific American. If you blog for SciAm, do you have the freedom critique their articles? Your link to Scicurious in the last post brings this issue up. Thanks Stephanie, you are very sweet! And Anon, absolutely. I have complete control over my content, so if I don't like an article, I will definitely share my thinking. Thanks for the heads up and the continued interesting posts. As an alum on Illinois-Urbana (83 and 85), I like to engage in a bit of granfalloonery and take pride in my alma mater's bloggers, but mostly I like the thoughtful thinkology... No matter the gender.